One of the best ways to drive sales is to empower your customers by providing them with the information that will make them confident that a) their purchase is necessary and b) they are choosing the right product. Sales are lost each and every day because a customer lacks confidence in their decision. One technology that is blurring the lines between the real world and the digital world is QR codes. These 2-dimensional bar codes are portals that link physical objects with the digital world of the internet. When employed to their highest potential by retailers, QR codes can become the most powerful tool for informing and empowering customers. Here are just a few ways that retailers can make the most of QR codes within their stores and as a part of their existing marketing efforts. Extend Print Media – any existing marketing collateral, whether its flyers, brochures, posters, billboards, etc. can be extended with a QR code. Include one of these on any signage or print media and customers will be able to access additional information, aside from the carefully crafted wording that is designed to grab their attention. QR codes take them from interested to inform in one easy step. Effortless Product Comparison – add QR codes to products within stores and customers will easily be able to compare prices and customer reviews of products that they are interested in buying. Interactive Offers and Mobile Coupons – when you create a QR code that leads customers to a special offer or mobile coupon, you are adding an extra layer of interactivity and engagement that cannot be achieved in another way. They are more likely to follow through and make a purchase once you have included them in this way. One company, above all others, excels at the creation and tracking of personal QR codes – Trumpia. Head over to their website today and find out just how easy their all-in-one web-based software is to use when it comes to building a QR code marketing campaign for your retail store. Start informing and engaging with your customers today with QR codes made easy by Trumpia. There are quite a few of Las Vegas mobile marketing companies, however before you decide on a mobile marketing strategy, Sign up for our FREE mobile marketing training below. 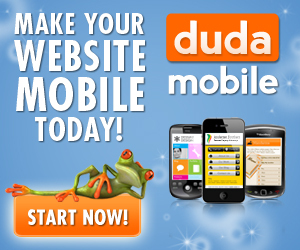 There is no doubt that mobile phone marketing is the new future of marketing. As a retail store owner in Las Vegas, you need to start to learn more about how these new mobile marketing trends will help your organization. If you own a retail store in Nevada, take advantage of our FREE VEGAS MOBILE MARKETING TRAINING VIDEOS by Signing up Below!